Emergency evacuation plans is not just about how well you know your building and not just about how you evacuate and whether you know how to evacuate safely, it is also about knowing what to do in emergency, how to help others evacuate safely, where to assemble. No matter where you live, the risk for fire disaster is always around us. 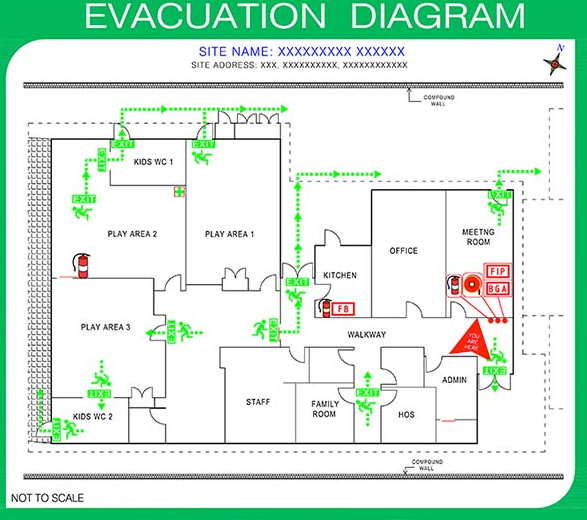 Developing proper emergency evacuation plan can save your time and stress in an emergency. The above is just an example. Whether it is the building you work in, or whether others are working or visiting your building or whether you are working at other’s building, emergency planning is not just about how well you know the building, but it is a coordinated effort executed in a structured format to safe guard life of people and property. It is also about the strategies you formulate to act in an emergency situation, to help others evacuate safely, assemble in an area etc. We can be hit by fire risk anytime anywhere. Having a proper emergency planning will help us minimize time and street before and during emergency. The most commonly adopted standard for Emergency Evacuation Plans is Australian Standard AS3745-2010. Technically it is also called as Evacuation Diagram. An emergency plan must be maintained and implemented by the person conducting a business or undertaking for the workplace. 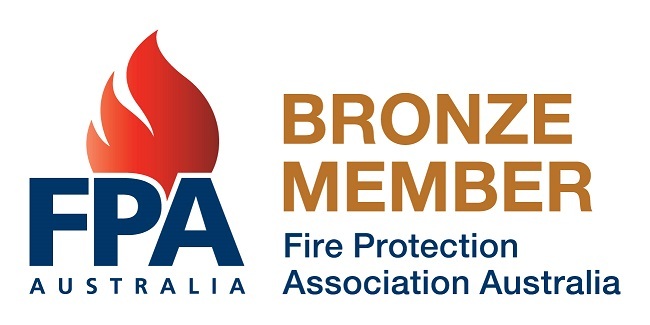 The most current Australian Standard for emergency evacuation plans is AS3745-2010. Before this it was AS3745-2002. In 2010, when the standard was rewritten, lot of changes were introduced to overcome the issues found with 2002 standard. – Have I got Emergency Procedure Manual for my building? – Do I want to pay penalty for not having Emergency Procedure Manual for my building/business? Of course not. – Do my employees/ occupants know what to do in the case of emergency, how to evacuate, where to assemble, who to call etc? We can provide to you simplified, cost effective and compliant, Emergency Procedure Manual for your business place and other related consultation service and help you minimize the risk. We all have our responsibility to comply with local legislation, but at the same time, it is our duty of care towards people who visits, or work in our premises with an assurance that we have done the right thing for them by providing a safe place to be in. Do you have Emergency Procedure Manual for your business premises? Are you aware that having an Emergency Procedure Manual For your business premises is mandatory? It is absolutely important to have an emergency evacuation plans in place to ensure safe and orderly evacuation of occupants in the building. In emergency situation where your instincts and logics don’t work, evacuation plan and training will help you save your and others’ life too. We can also provide you with compliant, cost effective and simplified Emergency Procedure Manual for your business place.